August 16, 2003 Melvin L. Lessen, 82, of Liverpool, died Saturday at Birchwood Health Care Center. He was the former owner of the City Line Grill from 1958 until 1968. Mr. Lessen was the manager of Kirby\'s Restaurant of Liverpool from 1985 until retiring in 1995. 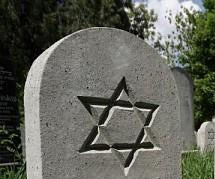 He was a member of Temple Beth El. Survived by his sons Elliott, and Gary (Lois); his former wife Bernice; and granddaughters Stacy and Emily. Funeral services will be 11 a.m., Monday at Birnbaum Funeral Chapel. Calling hour will be Monday, from 10 to 11, at the funeral chapel, 1909 E. Fayette Street. Burial in Adath Yeshurun Cemetery. Contributions may be made to the Lipsy Fund at Temple Beth El, 3528 E. Genesee Street, Syracuse 13214. birnbaum funeral service inc.